The Heritage Range was so named as this is the way that we used to travel to the bush with our families. Now, we’d like to share that experience with you. 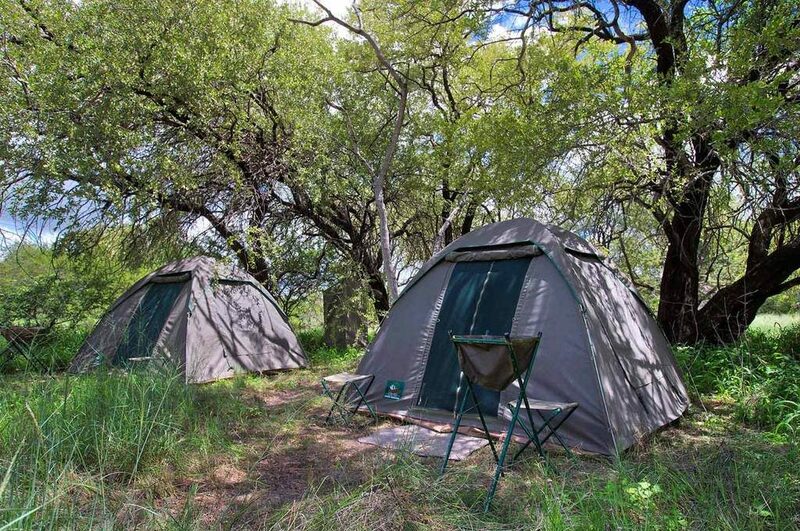 Camping in the Botswana bush can be a challenging but highly rewarding and enjoyable experience. You’ll get to participate in the camp preparation, helping to set up your tents and even in the cooking. 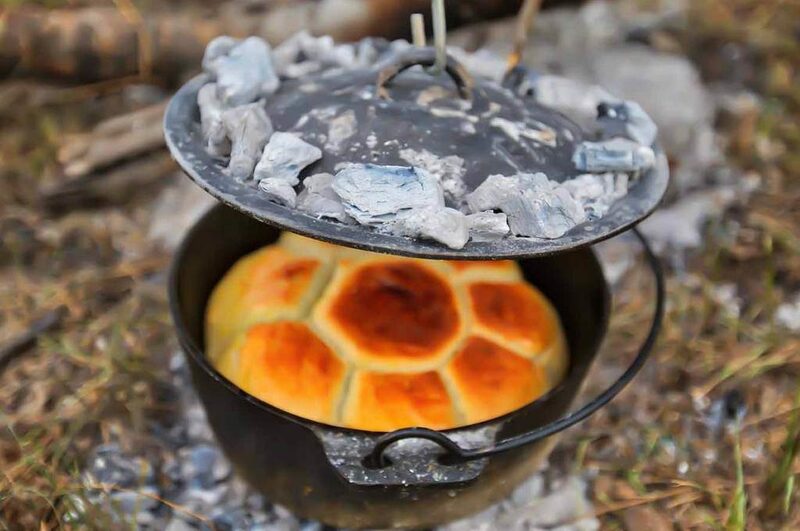 Learn bush skills like cooking over a campfire or baking in a hole in the ground. Everyday life can be hectic so we encourage you take this opportunity to slow down, relax and enjoy the experience of being out in the wilderness. This semi-participation safari allows you to have fascinating new experiences and enjoy the pleasures of camping with friends and family. 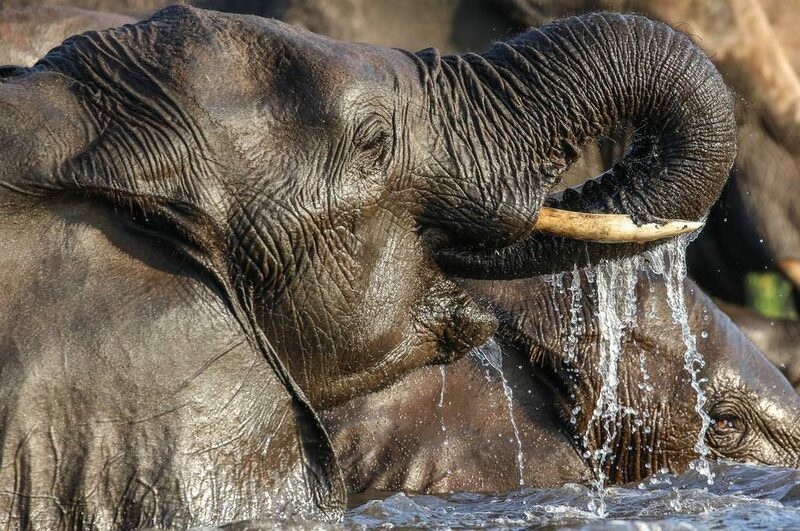 Range across spectacular destinations for an all round authentic safari experience. Experienced guides to lead you through the bush. 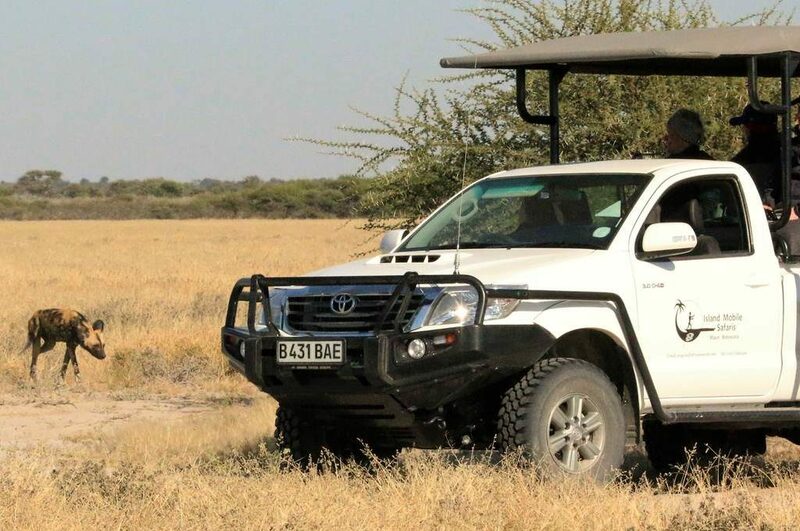 Comfortable open 4x4 safari vehicles providing uninterrupted views of the landscape and wildlife. 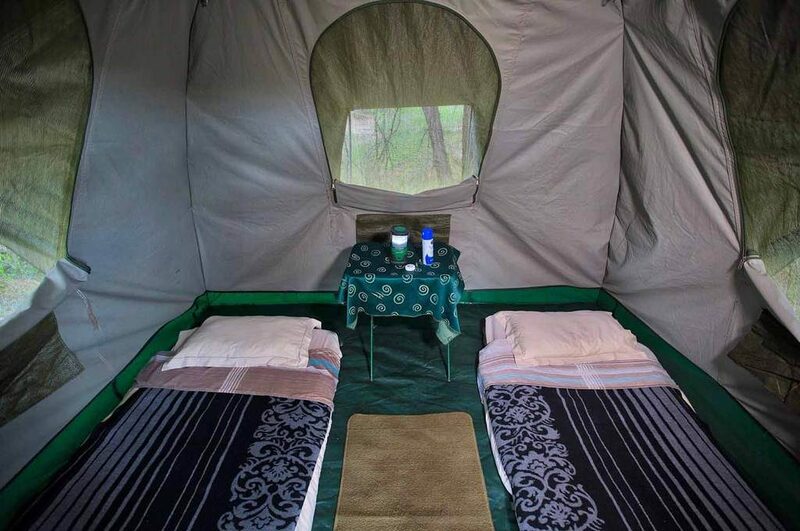 Spacious, comfortable tents equipped with down duvets wrapped bedrolls on the floor and hot water bottles for those chilly winter nights. Open dining room tents for a natural outdoor feeling, whilst still protecting you from the elements. All necessary camping equipment to make your bush experience comfortable. Authentic bush toilets and showers. Simple yet wholesome and delicious meals throughout the day. 3 m x 3 m dome canvas tent. Professional guide and camp assistant. National park and camping fees. 3 litres of bottled water per day. Limited selection of cordials and selected drinks. 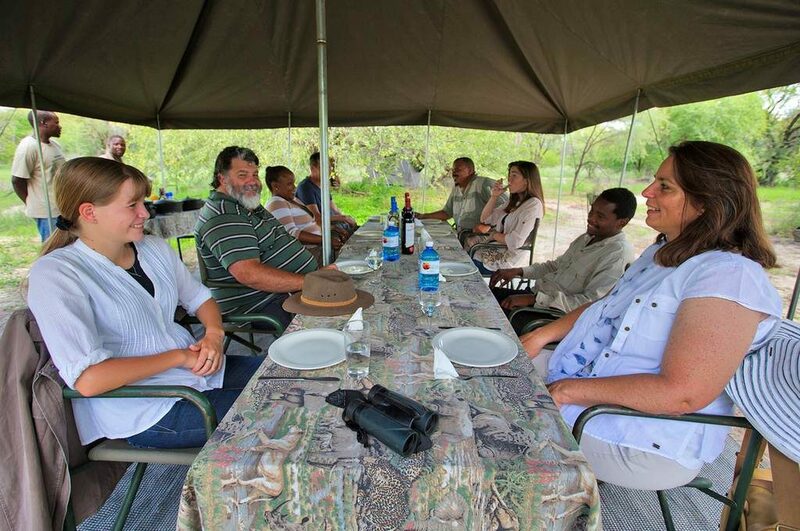 The safaris are on a dinner, bed and breakfast and lunch basis to suit the duration of the safari. Should you be accommodated at Island Safari Lodge for a pre-night, breakfast will be included. Don’t forget to pack wisely. We can provide the opportunity to shop and buy your water and beverages before departure. Camera and binoculars (preferably in a dry pack). Warm jacket. We experience typical desert-like temperatures so winter can be very cold in the early mornings and the evenings. Sleeping bag (optional) and pillows. Any extra snacks and appetisers that you may want to bring. Any additional water any beverages you would like. We recommend that you prepare for about 3 litres of water per day. We do not arrange and supply any travel insurance. Although we do have a basic medical aid kit in the vehicle you are required to provide your own. During our winter months, we experience typical desert-like temperatures. The Kalahari sands do not retain much heat and so as a result, temperatures tend to drop significantly during the night and early mornings. The days tend to warm up around midday. It is recommended that you dress and pack adequately for this. Avoid bright colours and keep to neutral bush colours like khaki, brown, green and blue.